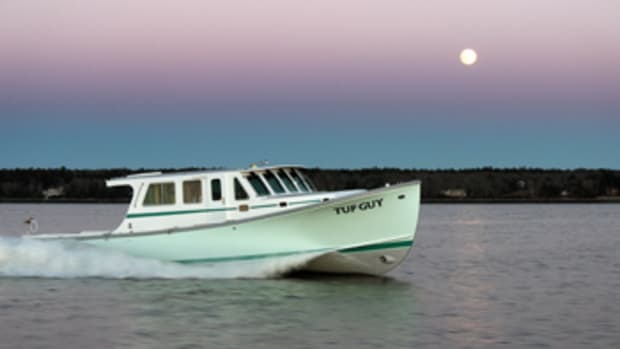 As a part-time resident of Bailey Island, Maine, Phil Taylor had the opportunity to view the state&apos;s other islands aboard a neighbor&apos;s 18-foot Corson runabout. As he hopped about the islands, he found himself becoming hooked on boating. Taylor wanted to get around the Maine islands independently, so he considered purchasing a center console. However, he decided he wanted an enclosure of some type at the helm because of Maine&apos;s fickle weather conditions. Taylor, a corporate helicopter pilot, attended several boat shows, looking at various used boats along the Connecticut shore and Rhode Island&apos;s Narragansett Bay. He was new to boating, but as a pilot, he was no stranger to navigation and mechanics. As Taylor searched for boats, he determined he wanted something with a Down East-style design. In 2004, he found a 1987 Sisu 26 Offshore. 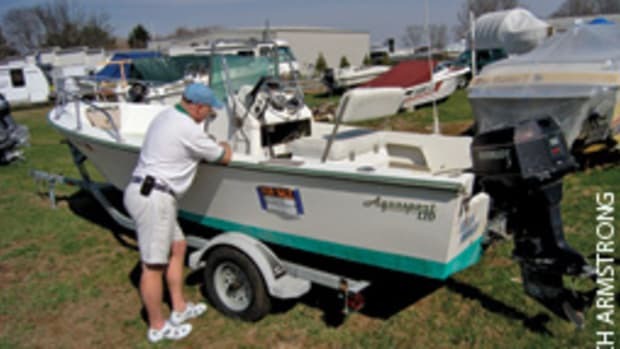 He liked the boat&apos;s solid construction, and he preferred its inboard power over outboards. Taylor had the boat surveyed and became its fourth owner, paying around $40,000, which was on the lower end of his budget. "I knew the boat would require attention and I had no experience, but I wasn&apos;t afraid to stretch myself and learn," says Taylor, who is 56. 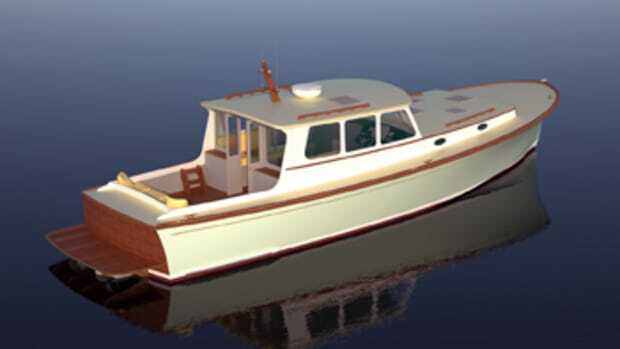 The Sisu 26 was designed by Maine boatbuilding and design icon Royal Lowell (for information, contact Jamie Lowell at (207) 846-4878, www.lowellbrothers.com). 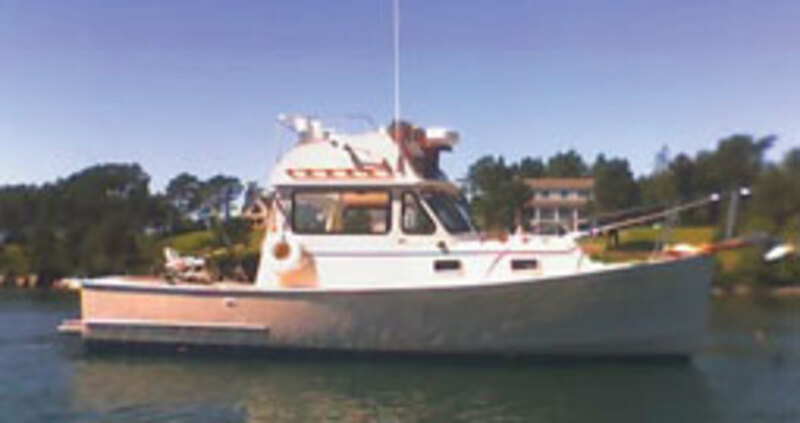 Built by Sisu Boats of Portsmouth, N.H., from 1979 to 1988, the boat reflects its Maine lobster boat heritage. Its fiberglass composite construction includes balsa coring and resin-coated plywood panels used in or laminated into various locations throughout the hull, deck and superstructure - certainly not high-tech construction by current standards. The Sisu 26, which remains sought-after for both commercial and recreational use, was available in several configurations, and Taylor&apos;s Offshore version has a three-sided pilothouse - among the features he was looking for - and a small galley and head. The boat&apos;s engine-hour meter showed around 1,300 hours, which Taylor knew could be high for a gasoline inboard. "But the engine sounded and ran satisfactorily," he says. "I knew it would need repowering in the near future, but everything on board worked." Taylor refers to himself as a "shade tree mechanic." Combining this with his background as a pilot provided him with the right mindset to refit and update the Sisu. Taylor made a list of priorities and began checking them off one by one while using the boat with his wife, Liz. Each project brought its own issues and learning curve. 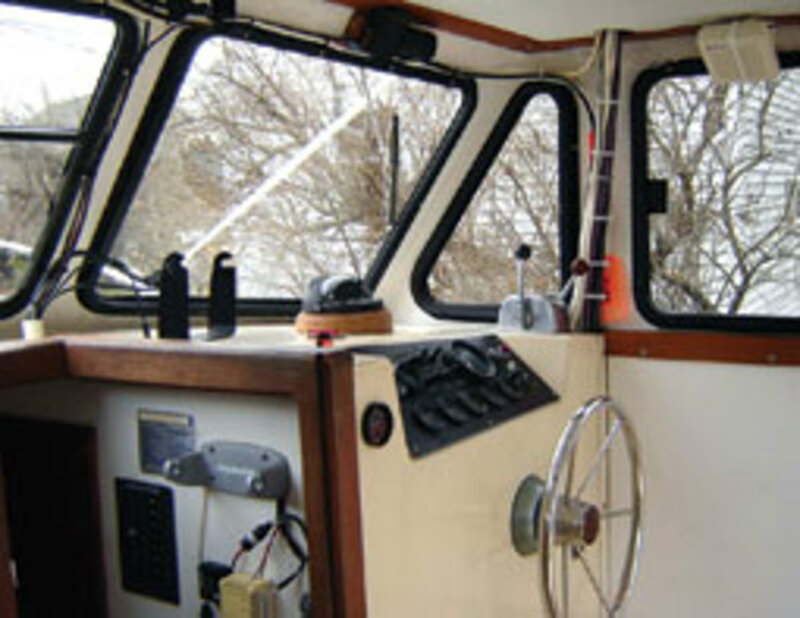 For example, the original Plexiglas pilothouse windows with rubber frames were replaced with aluminum-frame windows similar to those used in recreational vehicles. 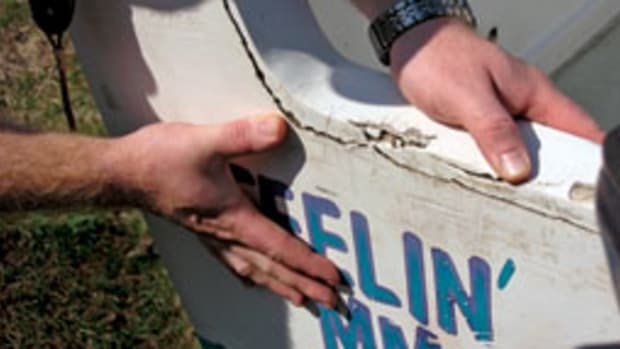 The boat&apos;s existing window cutout radius of 2 inches became an issue with many suppliers - 3 inches is more typical - but Taylor located a company in Miami that worked from his templates. The side windows are now sliders, and the center windshield panel is operable. 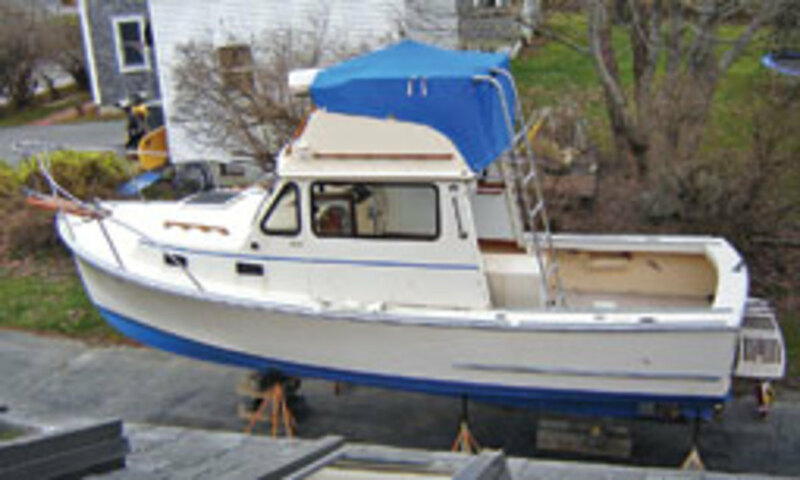 A roll-up weather canvas was fabricated and installed, and the interior fiberglass panels below the gunwales were repainted using Interlux products. Taylor and some local talent are going to rework the galley, replacing the existing countertop with one of their own design made of Corian and mounting the icebox and sink with electric pump below it. There are also plans to install a folding helm seat. On the systems side, Taylor doubled the electric bilge pump&apos;s capacity and added a manual Whale pump. He also added a diverter valve to the engine&apos;s seawater intake to allow the engine to operate as an emergency dewatering pump. While this may sound like overkill on a 26-footer, keep in mind that the smaller the boat, the more likely it is to take on water in rough seas and the less water it takes to affect its stability. Taylor also installed a saltwater washdown using the existing seawater intake for the head as the supply. And he installed a Fireboy automatic fire extinguishing system in the machinery space, with manual activation and a remote discharger alarm. The boat also has a remote bilge-fume detector at the helm and a carbon monoxide detector in the accommodation space. 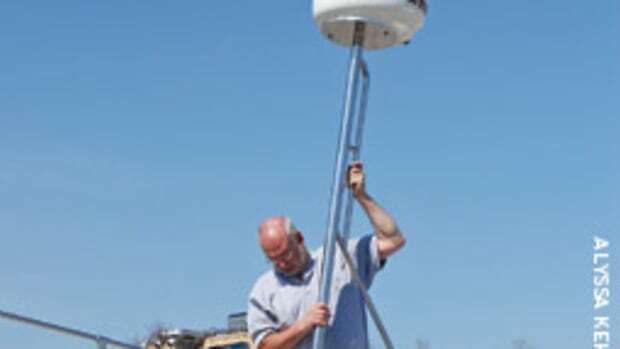 Taylor installed a Raymarine 530 chart plotter and interfaced it with a DSC VHF radio. The depth sounder is an independent unit. The boat came equipped with a monochromatic radar, which Taylor still uses with the addition of a mahogany radome mount constructed and installed on the forward face of the flybridge with the help of a neighborhood carpenter. 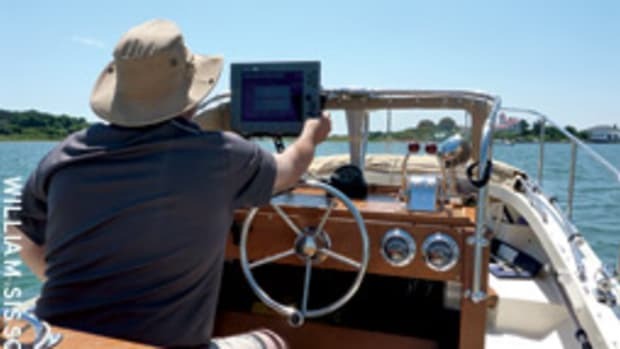 When it became apparent that the boat&apos;s electrical system would require updating, Taylor contacted Stu Cauldwell of Cauldwell Electronics in Orr&apos;s Island, Maine. In addition to replacing much of the wiring, a high-water bilge alarm was added and provisions made for a wiper on the port windshield. The original fuse panel was replaced by a Blue Seas circuit breaker panel. New engine instrumentation and switches were installed in a custom dash laid out exactly as a pilot would want, with all switches clearly labeled. The boat has two AGM batteries, while a battery monitor system is a work in progress. A solar charger was installed to help maintain the batteries. Although it didn&apos;t turn up in the survey, Taylor found that there had been water intrusion into the machinery space, with some damage to the wooden bulkheads. The bulkheads had been covered in sound-deadening material, which helped mask their condition. Taylor redesigned the deck seal to eliminate the leaks, repaired and replaced the damaged wood, and encapsulated it with WEST System epoxy. The engine cowl vents also had allowed water into the deck core. The vents were removed and temporarily resealed with 3M 4200 to prevent additional damage. Taylor is looking into the best way to redirect airflow to the machinery space and eliminate the clamshell vents. The engine ran well until Labor Day 2007, when it developed a knocking and began running poorly. Taylor had the boat hauled and transported to his driveway. With the valve covers removed, the sludge buildup he found meant the engine needed to be retired. This would be a new venture for Taylor, so he tapped some local talent for guidance and assistance. After locating someone with a flatbed truck and collapsible crane to remove the engine, he purchased a new Crusader Power Pack, a 300-hp Vortec base engine with a complete fuel and ignition system. By using the old engine&apos;s existing hardware, bell housing and major exhaust components, the installation would be easier and cost less. Taylor still needed to swap out the closed cooling system, starter, alternator, etc. The exhaust manifolds and risers from the old engine were sent out to be ceramic-coated prior to reinstallation. 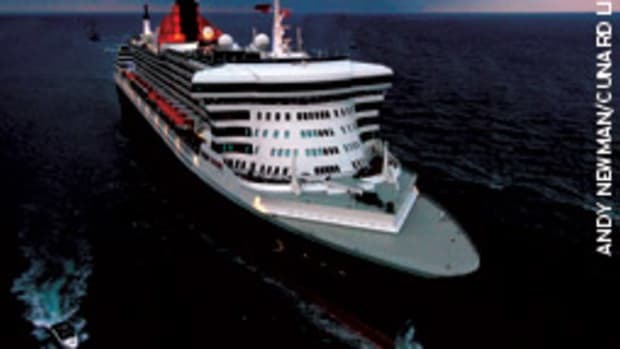 The coating significantly reduces the heat radiated into the machinery space, provides a minor performance improvement and, most importantly, will extend the life of the components by eliminating the corrosive effects of seawater. He also added an engine oil cooler (heat exchanger) to the cooling system, a new fuel filter assembly with shut-off valves, and an engine oil transfer pump to facilitate oil changes. All cooling hoses and clamps were replaced and protected from chafe. Again, Taylor enlisted assistance to help reinstall and align the engine assembly in the boat. Taylor likes to consult the expertise of his aviation technicians, who recommended using a combination of Loctite, safety wire and anti-seize lube to help keep everything together and serviceable. Unfortunately, the new engine required 4-inch exhaust hose, not the 3-inch he had previously installed. Taylor had to replace all of the exhaust hose and install 4-inch bronze through-hull exhaust fittings. He says he enjoyed learning about engine replacement, and his only afterthought is that he should have painted the bilge while the engine was out of the boat. When asked for his thoughts on the project, which began in 2004 with no real "end" in sight, Taylor says it was a sensible purchase. "I use the boat just as I wanted - to get out to the islands and enjoy the area," he says. "There haven&apos;t been any real big surprises when using the boat, but I realize that I didn&apos;t know enough about the engine issues. After the first season I realized that a lot needed to be upgraded to bring things up to my standards." 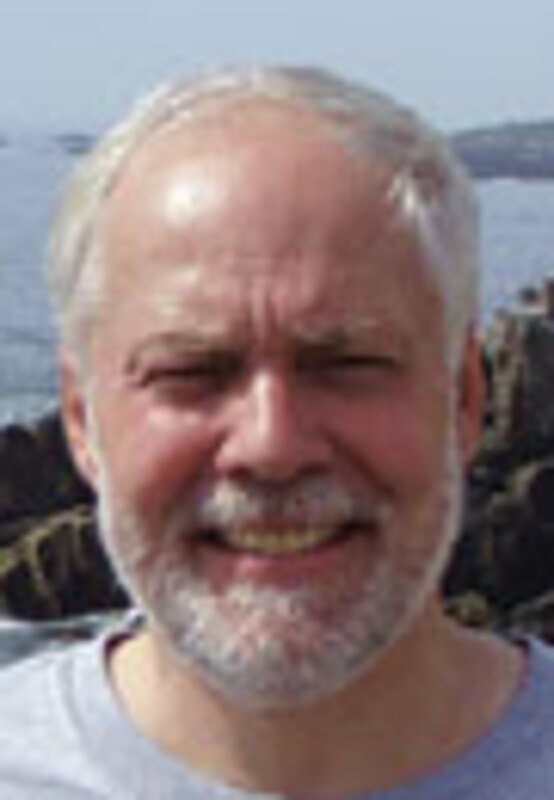 He also learned that subcontracting work should be approached with a bit of caution. "Get specifics in writing," he says. Taylor says buying and fixing up his first boat has been a great experience. Working on the Sisu was as much fun as taking her out, he says. With a bit of planning and forethought, he was able to maintain the integrity of his dream - and budget. Phil Taylor is proud of his 1987 Sisu 26, and rightfully so.